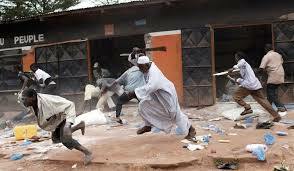 The People of Taraba state has been put under sever nightmare following a renewed threats from the dreaded Fulani Herdsmen. In Abuja, lawmakers from Taraba State in the House of Representatives, on Thursday, raised the alarm that Fulani herdsmen have concluded plans to attack their constituents in Taraba. Briefing Journalists shortly after plenary, Spokesman of the Lawmakers, Rep Isaac Shiddi, APGA, Taraba, said “we painfully wish to inform Mr. President Muhammadu Buhari on planned attacks on Wukari/ilIbi Local Government of Taraba by suspected Fulani herdsmen. “We have received information of their intention and when the Fulani say he is coming, definitely he would come to perfect his intentions.